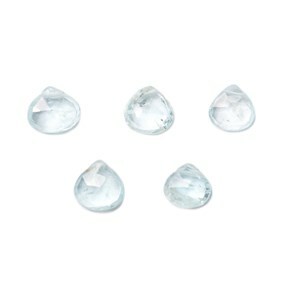 Aquamarine, translated to 'water of the sea' is such a popular gemstone in jewellery making due to its beauty and sparkle. 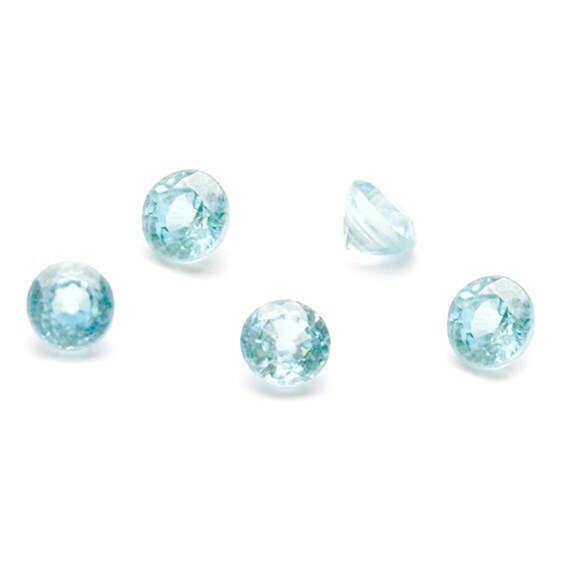 Discover our aquamarine cabochons, faceted stone and beads below for your jewellery designs. 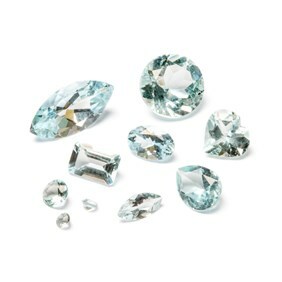 Aquamarine is a blue variety of beryl that derives its name from Latin: aqua marina meaning 'water of the sea'. 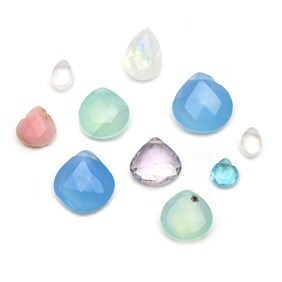 Aquamarine gemstones are usually completely flawless! 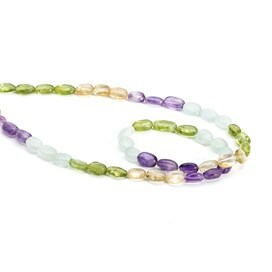 The colours range from pale blue to light green. 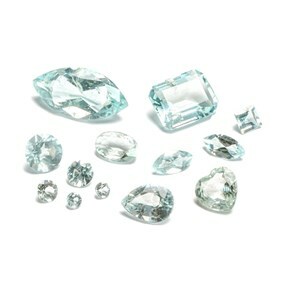 Greenish-blue aquamarine is usually heated to produce the blue colour which is very popular in modern jewellery. It is mined in China, Nepal, Burma, Sri Lanka and in the Midwest of America, where it is Colorado's official stone. 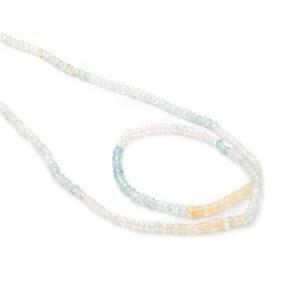 It measures 7.5-8 on the Moh's hardness scale. 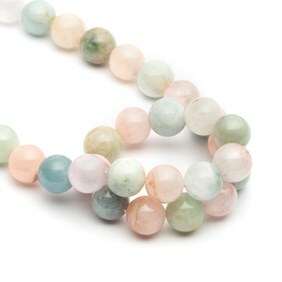 Aquamarine is March's birthstone, a beautiful gemstone to create a meaningful jewellery design for a special birthday. 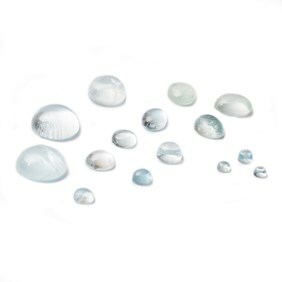 Aquamarine is often heat treated, although as you'll find in our collection we have a range of natural untreated aquamarine beads with beautiful colours available for your designs. 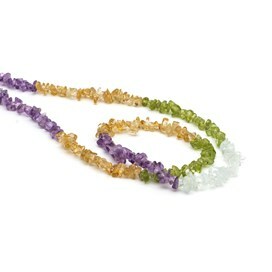 This includes our moss aquamarine faceted rondelle beads and aquamarine round beads. 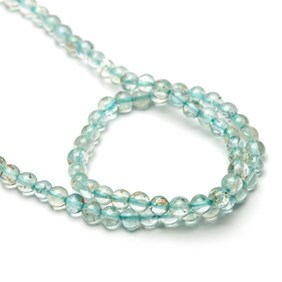 If you're a fan of aquamarine, you'll probably love topaz too. 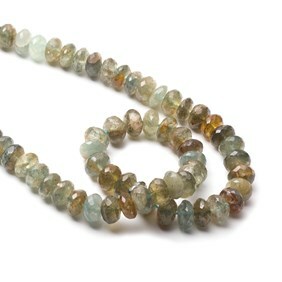 Aquamarine was believed to be treasures of mermaids and said to be a soothing stone, used for good luck and protection.